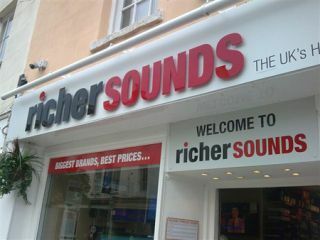 Richer Sounds VIP members get free five-year guarantee with new TVs | What Hi-Fi? Richer Sounds has announced that all members of its VIP Club will receive a free five-year guarantee with any new TV purchased from March 1st. Jez Avens, deputy managing director of Richer Sounds says that the offer, which starts from Saturday, 1st March 2014, is "all part of our mission to continually make sure our customers get the best deal, not just in terms of price alone". Membership to the VIP Club is free. All Richer Sounds requires is that users submit their name and email address. The Club currently has around 650,000 members, who benefit from VIP-only special offers and prices, as well as exclusive privileges. Richer Sounds offers other benefits on top of this. It still promises to beat competitor prices by up to £100, and each of its 53 nationwide stores has its own demo room. Customers can book appointments between 8am and 8pm Monday-Friday, and listen to, or watch, different equipment.